David Hanson from Living Rent Glasgow reports on the deeper source of our housing crisis. The great classical economic thinkers of the 18th and 19th century thought that rent would disappear. Under capitalism, ever increasing productivity was supposed to make the rentier obsolete. That never came to be and now we live under a capitalist system where 51% of the UK’s net worth is wealth from land; “the value of land is the obscene underside of surplus value extraction in real estate” comments Neil Gray, a Living Rent member and author of Rent and its Discontents: A Century of Housing Struggle. Wealth from privatised housing is in fact wealth from privatised land, and one of its many profits subsequently, is rent. On Friday March 8th, Living Rent and other housing researchers, academics and activists met in Edinburgh to discuss the “The Problem of Rent.” A follow-on event from January’s very well attended Glasgow launch of Rent and Its Discontents: A Century of Housing Struggle, it saw many of the contributors to that book expand on the problems and solutions they had put forward in writing. We also heard from Living Rent members who discussed how we are currently tackling the problem of rent. If over-investment in real estate and too much wealth based on rent is bad from even the perspective of classical political economy, as Neil Gray, the first speaker of the day observed, then what are we to do about it? 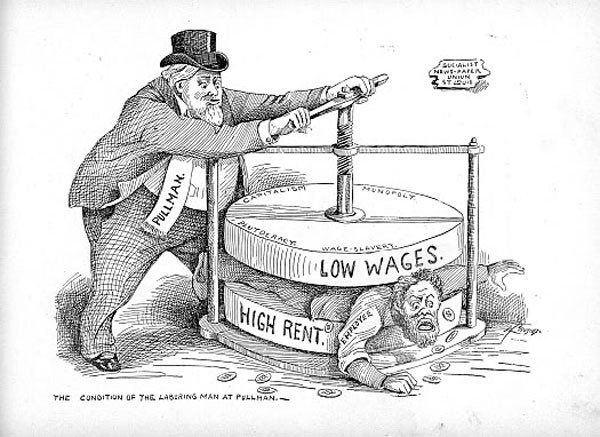 Abolishing rent, at least within the economic structure of capitalism will not be easy. One of the ways of at least halting the growth of this fixed, concrete, and stale form of profit is rent controls, a policy Living Rent is heavily advocating for. But working against this effective and popular policy is free-market propaganda perpetuating three myths that “change the narrative from a crisis of capitalism to a crisis of the welfare state.” As Tom Slater, the second speaker of the day outlined, the three rent control myths of poor quality, poor supply, and poor efficiency don’t match up with the reality of the housing landscape. Firstly, lack of regulation has always led to atrocious quality. Second, properties don’t just disappear from the market because they are not at maximum profit. Thirdly, rent controls explicitly attack inefficiency in the price mechanism of rent because they are underpinned by the idea that improved security for tenants is more important than market efficiency. Sadly, rent controls are yet to be implemented with current legislation which is inadequate and unwieldy, and as rent goes up without people’s wages and benefits going up as well, an acute form of housing violence becomes ever more prevalent: eviction. In England and Wales, there are 115 court-sanctioned evictions a day, with possibly hundreds more unofficial evictions. As Vickie Cooper and Kirsteen Paton, the following speakers, indicated to the room, both the state and private capital are playing an active role in chipping away tenants’ rights through aggressive policies that affect rent. With the rollout of Universal Credit and the rise of rent arrears, private capital is accumulating more wealth through repossession of homes. Tenants are being evicted en masse or leaving “voluntarily” to avoid the psychological trauma that accompanies eviction. The problem of rent is multi-faceted then, but what are tenants to do in the face of such overwhelming hostility? The next session of the event was dedicated to just that by exploring various movements of tenant struggle. Sean Baillie and Emma Saunders, two Living Rent members, dissected the origins and practice of Living Rent, showing the audience that Living Rent is Scotland’s most powerful and exciting housing movement in decades. Fighting high rent, from the perspective of Living Rent, is not just about running high-profile campaigns, but of building strong institutional power rooted in the community—could the neighborhood be the new factory, the new site of struggle? The housing struggle though is not one-size-fits-all, as Paul Watt, the final speaker explained. Housing movements throughout the UK, especially in London, have taken on a variety of forms and adapted many different strategies and flexible strategy is one of the main new trends emerging in housing struggle. Given that the infamous 1915 Glasgow rent strikes were in the mind of those in the event, discussions moved into the effectiveness of rent strikes today. After watching a film on the recent Parkdale rent strikes in Canada, the rest of the day was an exploration of the many tactics that can be used to fight the ever increasing problem of rent in Scotland. Are rent strikes even possible in a fragmented property market where 80% of landlords in Scotland only own one other property? Are we fighting primarily against the state or private capital? Is private housing or social housing the more important battleground? These are all questions that do yet have definitive answers. The housing landscape is constantly changing, but as Scotland’s fastest growing and most effective tenants’ union (since 2016), it became clear that both theorising and organising around rent is imperative to Living Rent’s continued success. The conversation about rent must be changed. We must make it clear that paying half one’s income for a place to call home is wrong and that when one’s home is ultimately another person’s source of profit, it will never truly be home. The sooner we recognise that, the sooner tenant power can grow, ensuring that in the future we have homes for people, not profit. Cut off supply where housing demand is increasing and you over bubble the asset. Concomitantly the banks lend on over bubbled property. A house might or should be worth what it costs to build. But are there any houses for purchase at that price. Not difficult to see how Thatcher onwards created great asset wealth where the non asset owning classes have to pay, and pay plenty. My goodness, what a powerful piece. Talk of resonance. The most repugnant, despicable aspect to this non-productive parasitical horror show are the number of virtue signalling politicos that are up to their smelly armpits in this activity. The SNP should set an example, but in all truth are complicit all the way to the Bank. [What one or two, well take a guess, but England funded might provide a clue]. No politician should benefit from renting. Simples one might think, but hold on; the SNP’s silence on Angus Robertons taxpayer funded renting was a disgrace. Of course Tories encourage it, given in it is their DNA. Labour too, come to that. Affordable housing should have equal billing with Health and Education. It does not. Fat chance. That really would mean empowering councils with meaningful resources, rather than the parking levy guff. No person of any stripe who is a rentier should enjoy power in the public domain. As in never. Nearly 12 years in power and the Murrell dictatorship has done not one speck of an iota to curb private hoarding of Land Banks by private builders. I will never get off my high horse on this exploitation of a basic human need. That said, I’d like to poke Bella readers memories concerning a particularly poignant situation. A couple of years ago an artist, who was being evicted from his Leith flat due to an unaffordable rent increase at the time of his tenancy renewal, asked in his despair for any help possible from Bella readers. As I remember he had lived trouble free in his home for donkeys years. Little or no matter, it seemed. He wanted to stay in the area. Perfectly reasonable. Have you ever felt useless? I did. To be honest his predicament was ugly commonplace, but not so much as to forget. Then there was a void. Can anyone who remembers give an update, or indeed even himself? I do so hope this had a positive ending. I suspect your thinking of Stewart Bremner – a friend and long-time Bella contributor – who worked on Yes Scotland and has created graphics for Bella for years. He had to move. People cant afford to live in Edinburgh any more. Appreciated with thanks. I wish him well.